Healthy Eating for Children - What foods do they need? 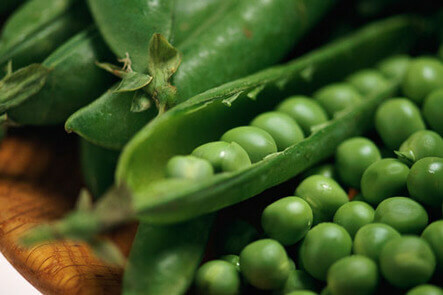 When my son Kevin was about 3 years old, he spied a green pea. He picked it up between his fingers and rolled it over. It looked good! He then pushed the pea up his nose. Interesting. Vegetables are fun! He used another pea to push the first one up higher. Then another. Yet another pea followed the first three into Kevin’s nose–and it was not the last! Kev was not satisfied until he had enjoyed five peas–in his nose! Later, in the emergency room, after they’d removed the peas, Kev’s older brother Garrett, with a sweet twinkle in his eye, called Kevin a pea-brain!!! When I say that kids need vegetables, I mean they need to eat vegetables — by mouth. It’s hard to compete against fast-food kids’ meals–salty, fatty food, served quickly, in a bright, exciting place–and they come with toys! It’s no wonder trips to fast-food restaurants have become the pinnacle of gastronomic delight for most preschool children in the United States. But here, in these fast-food restaurants, children miss out on important nutrients and fill their tummies (and arteries) with things they don’t need. We need to be very clear about what they need and what they don’t in order to avoid being knocked over by the junk food current. Children do need whole grains. They do need fresh fruits and fresh vegetables. They do need a source of calcium for their growing bones. They do need healthy sources of proteins, either from fish, poultry, eggs, and meat, or from plant sources. These foods give them the vitamins, minerals, and micronutrients they need to build high-quality bodies. Children do not need to eat large amounts of sugar. In the 1800s, the average American consumed 12 pounds of sugar per year. By 1975, however, after the overwhelming success of the refined-food industry, the 12 pounds had jumped to a world-leading 118 pounds per year, and jumped again to 154 pounds per capita (for every man, woman, and child) by 1997. This amounts to 53 teaspoonfuls of added sugar per person per day. This is in contrast to the recommended 6-18 teaspoonfuls per day, depending on total calories in an individual’s diet, recommended by the USDA (Food Consumption, Prices and Expenditures, United States Department of Agriculture, 1999). An interesting article appears in the February 1995 edition of the Journal of Pediatrics. In contrast with other research teams, William Tamborlane, MD, et al of Yale University, leaders in child nutrition, reported a more pronounced response to a glucose load in children than in adults. Fruit juices contain lots of simple sugar without much fiber. Many people think of juices as health foods. This simply isn’t true. In small quantities they are fine, but they are mainly a way to get many of the calories and some of the nutrients from a substance, without getting as full and without getting the needed fiber. One study has shown that children who drink more than 12 ounces of fruit juice per day are shorter and fatter than those who don’t. Fruits contain lots of sugar, but it’s in a form that’s intended for the body to use. Instead of sugar-coated breakfast cereal, try cereal with berries. Most kids like this. They enjoy the treat, and it stays healthy. Refined White Flour — You Guessed it, NO! Children do not need large amounts of refined white flour. Again, in this century, white flour has become a major part of our diets. This simple carbohydrate acts in our bodies much like white sugar–empty calories that disrupt energy levels and insulin levels and increase body fat. The risk for diabetes increases with consumption of white bread, white rice, mashed potatoes, and French-fried potatoes (Journal of the American Medical Association, February 12, 1997). White flour can easily be replaced with whole-grain flours. Whole-grain cereals can replace breakfast cereals made from white flour. Which are whole-grain cereals? Special K? Product 19? Corn Flakes? Cream of Wheat? No. No. No. But the following are: Cheerios, Raisin Bran, Total, Wheaties, Spoon-Size Shredded Wheat, Grape Nuts, and oatmeal. When selecting among whole-grain cereals, try to minimize sugar and chemical additives. Children do need fiber. They need at least 19 grams per day; adults need 21-38 grams per day depending on age and gender (Dietary Guidelines for Americans 2005). Dietary fiber is essential for optimum health (Pediatrics, 1995 supplement). Most children in the United States get far less than they need. White-flour snacks, breads, and cereals are major culprits . Fiber is found in vegetables, fruits, and whole grains. Don’t let the names of products fool you. Names like Pepperidge Farm Light Style Seven Grain, and Arnold Bran’ola Nutty Grains Bread sound like they would be made mostly from whole-grain flour. Nope. Arnold Country Wheat and Pepperidge Farm Natural Whole Grain Nine Grain breads are, however. Nabisco Reduced Fat Triscuits and Wheat Thins are primarily whole wheat. Wheatsworth crackers are not! Check the first ingredient on the ingredients lists of breads and crackers. It should say “whole wheat” or some other whole grain, such as oats. “Wheat flour” or “enriched wheat flour” are not what you are looking for–they are essentially plain white flour. (Source: Nutrition Action Healthletter, The Center for Science in the Public Interest, March 1997) Some of these names are enough to make you think that the manufacturers are trying to fool us into thinking that their products are healthy when they are not. Children do not need large amounts of fat–although fat by itself isn’t quite the culprit that most people think. Fat in combination with simple carbohydrates (such as sugar, white flour, white rice, or potatoes) is far more dangerous than fat alone because the fat is handled by the body so differently. French fries, potato chips, cheeseburgers on white-flour buns, donuts, candy bars, and the like are particularly bad. Butter on vegetables is much better for us than butter on white toast. Children do not need partially hydrogenated anything. These artificial fats, so commonly found in items on grocery store shelves, are not found anywhere in nature. It pays to take an honest look at what your children are eating. Now that we have our sights set on what foods to choose, tomorrow we will continue this five-part series with how to make these choices enticing.